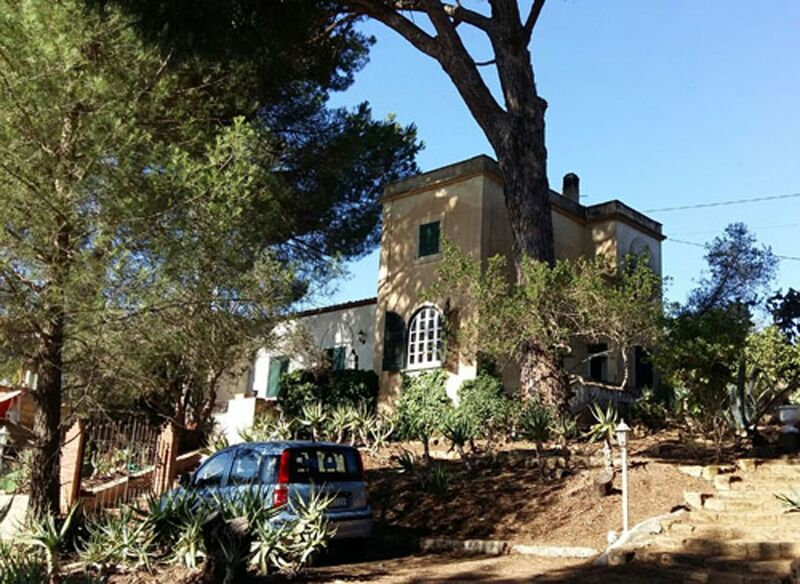 Rent per week (April-September) Detached country house situated between the villages of Santa Margherita Belice and Montevago (AG), at Contrada Catena. The detached house is surrounded by greenery among many secular pine trees. The center of the two countries (Santa Margherita and Montevago) is located less than 2 km. The house is located in a strategic position just a few kilometers from the beautiful seaside resort of Porto Palo, Lido flowers, Sea Sciacca and Marinella di Selinunte. It is also very close to the beautiful town of Sciacca, the Baths Acquapia Montevago and the important archaeological site of Selinunte. Possibility to rent cars with or without driver. Taxi service on request to reach several nearby locations.